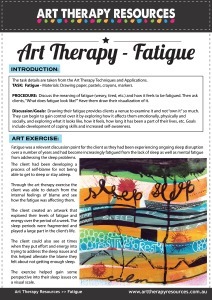 Art Therapy Techniques and Applications contains an original composite of therapeutic goals and evocative ideas that can be used with a wide variety of clients. This book is filled with innovative suggestions and plans that are easily implemented: from brief warm-ups to stretch the imagination, and collage and mask creations to assist the expression of mood, to guidance on combining modalities such as art, metaphors and movement, mindfulness exercises, and using computer programs to enhance art therapy projects. Clear and concise, this is an indispensable reference guide for the therapist who wants to improve focus, develop problem-solving skills, and add creativity to their group work. This book will appeal to art therapists, art therapy students and professors, counselors, and social workers. As an art therapist, you may provide art directives to clients in a session. Over time you begin to develop a list of directives that you know have worked for clients in the past. 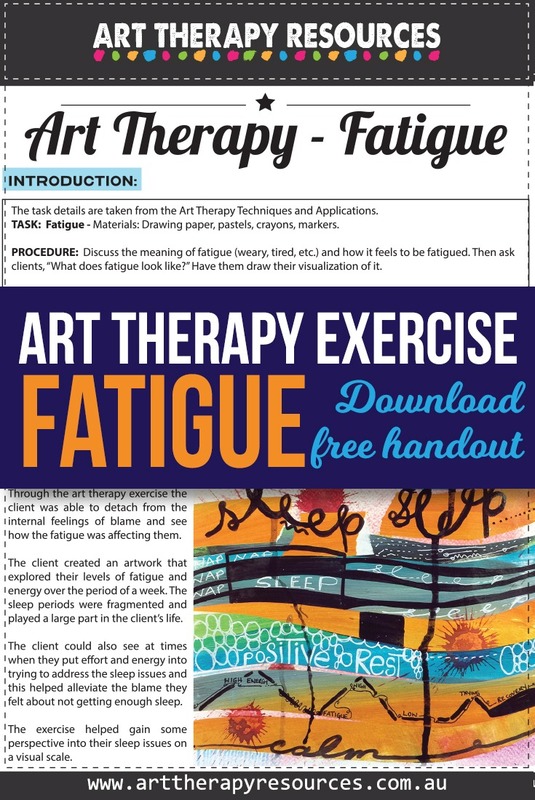 This book provides many useful art therapy directives that you can include in your knowledge bank for client work. Many of the exercises suit adult clients and can easily be adapted for younger clients. The art exercise structure within the book makes following the exercise very easy to do including the materials needed as well as the instructions and potential outcomes. The exercises are generally suitable for group work over individual work, however, these can be adapted to suit your specific client. The book is organised based on the techniques, eg. drawing, painting, collages, clay etc. The book also includes a useful List of Projects section in the back which enables you to scan the list of exercises and quickly find the ones that interest you the most. Aside from the technique driven chapters, additional chapters cover a number of other topics that an art therapist may face in their practice such as helping the defensive client, how to combine modalities and using an open art studio concept. 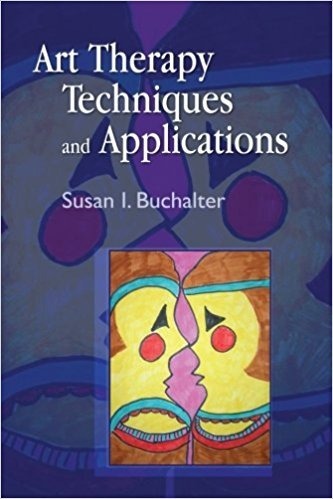 The author, Susan Buchalter acknowledges that both spontaneous and structured art exercises provide benefits to clients. Buchalter acknowledges that providing guided exercises to clients can help the client to expand their understanding of a problem and gain important insight through problem solving in the art exercises. Buchalter encourages art therapists to modify the art exercises based on the client’s individual therapeutic process. The exercises can also be used by the art therapist to expose them to a variety of techniques and materials that they may not have tried before. Some art therapists may prefer specific art materials and by using the exercises in this book the art therapist can increase their own working knowledge of materials outside of their own comfort zone. Having this broad range of exposure can benefit the art therapist’s creative schema to develop skills that will help a wide variety of clients from any demographic. Having a variety of suggested art therapy exercises also helps art therapists develop a databank of ideas for running art therapy groups where the participants are encouraged to work cohesively with less individualized treatment. We have included an example exercise from the book. This exercise is featured in chapter 1 Warm-ups of Art Therapy Techniques and Applications. The task details are taken from the Art Therapy Techniques and Applications. The supplies list and artwork image are provided by Art Therapy Resources. Materials: Drawing paper, pastels, crayons, markers. Procedure: Discuss the meaning of fatigue (weary, tired, etc.) and how it feels to be fatigued. Then ask clients, “What does fatigue look like?” Have them draw their visualization of it. Discussion/Goals: Drawing their fatigue provides clients a venue to examine it and not “own it” so much. They can begin to gain control over it by exploring how it affects them emotionally, physically and socially, and exploring what it looks like, how it feels, how long it has been a part of their lives, etc. Goals include the development of coping skills and increased self-awareness. Fatigue was a relevant discussion point for the client as they had been experiencing ongoing sleep disruption over a number of years and had become increasingly fatigued from the lack of sleep as well as mental fatigue from addressing the sleep problems. The client had been developing a process of self-blame for not being able to get to sleep or stay asleep. 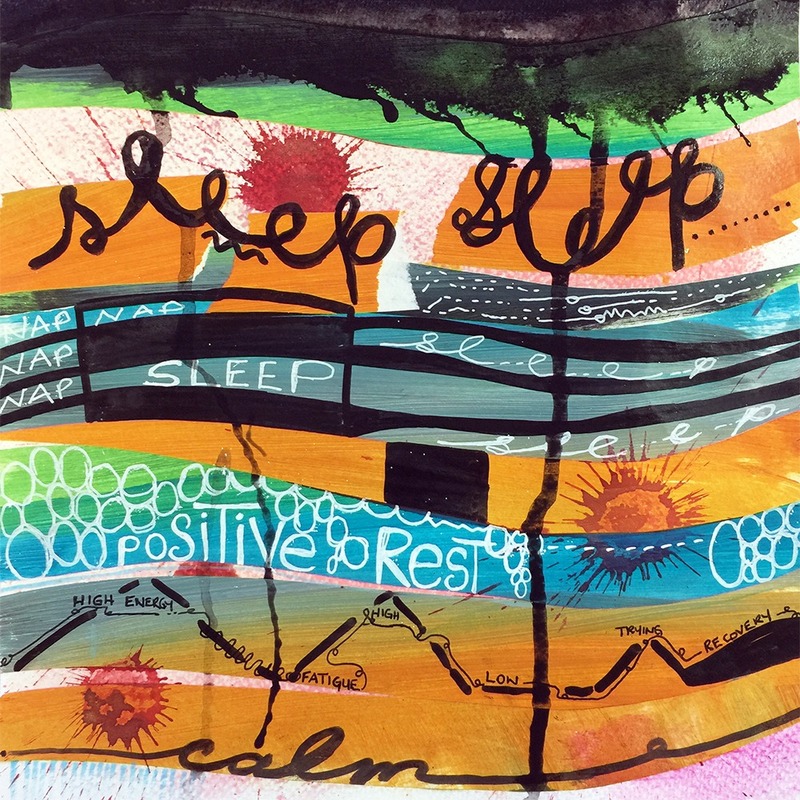 Through the art therapy exercise, the client was able to detach from the internal feelings of blame and see how the fatigue was affecting them. The client created an artwork that explored their levels of fatigue and energy over the period of a week. The sleep periods were fragmented and played a large part in the client’s life. The client could also see at times when they put effort and energy into trying to address the sleep issues and this helped alleviate the blame they felt about not getting enough sleep. The exercise helped gain some perspective on their sleep issues on a visual scale.